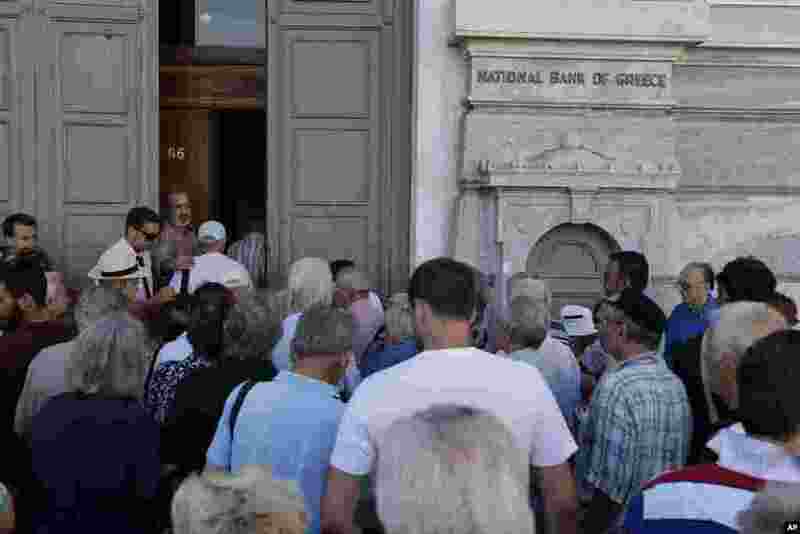 1 The first customers, most of them pensioners, stand in a queue to enter a branch at National Bank of Greece headquarters in Athens, July 20, 2015. 2 Many goods and services become more expensive on Monday as a result of a rise in Value Added Tax approved by Parliament last week. 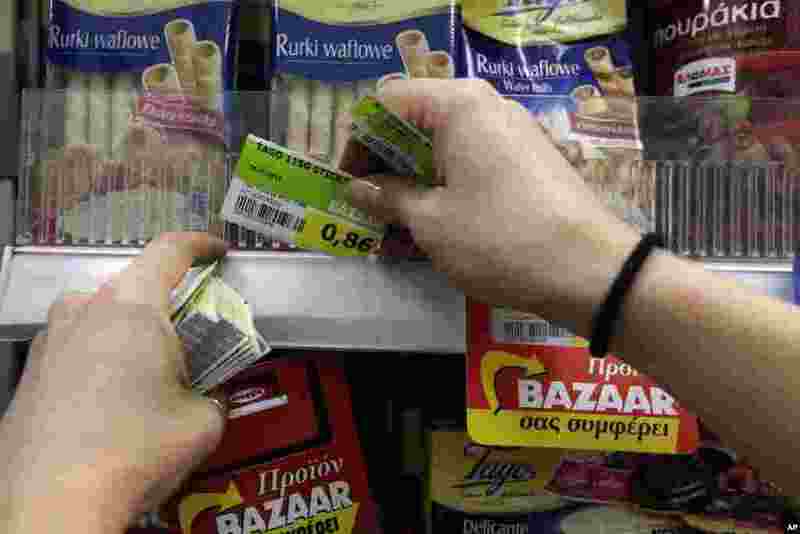 Pictured here, an employee of a supermarket replaces the prices with the new Value Added Tax (VAT) in Athens, July 20, 2015. 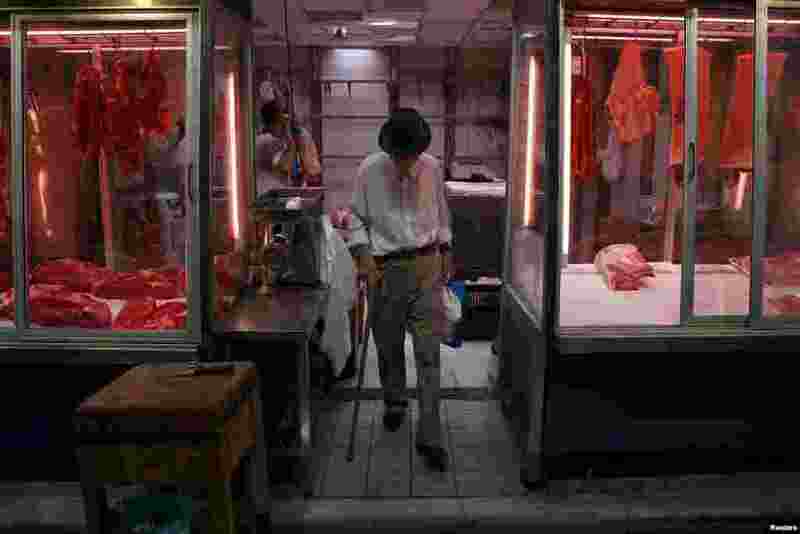 3 A man exits a butcher shop at the main food market in central Athens, July 20, 2015. 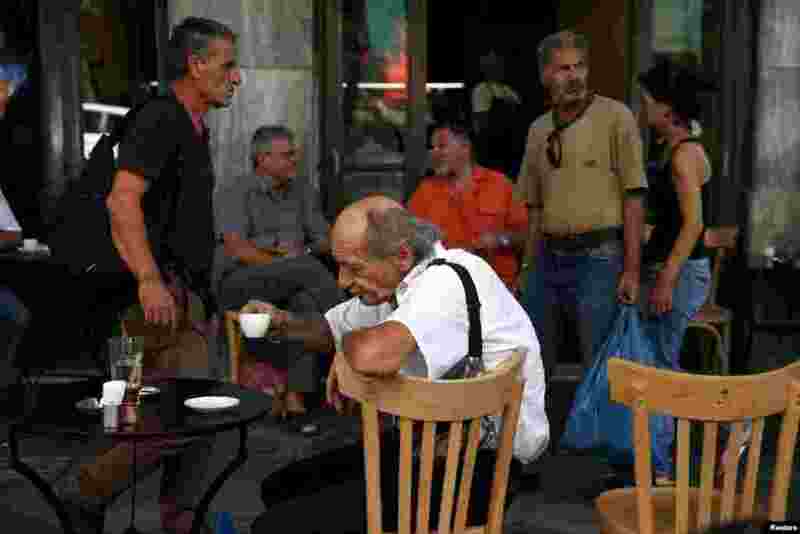 4 People sit outside a coffee shop in central Athens, July 20, 2015.